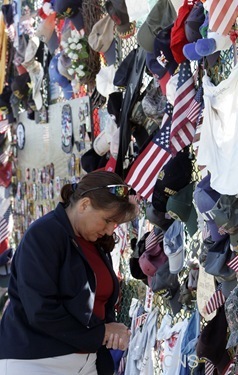 As we prepare to mark the 10th anniversary of the horrific events of Sept. 11, 2001, like many of you, I can’t help but recall how I first received the news. That day I was in Washington D.C. for an administrative meeting at the U.S. Conference of Catholic Bishops. Our meeting was interrupted with the announcement that a plane had hit one of the World Trade Center Towers in New York, but we had no further information. My first thought was that there must have been an accident and recalled how some years before a small plane had collided with the Empire State Building. That small plane had, in fact, hit the office of Cardinal Patrick O’Boyle who was then serving as the director of the Catholic Near East Welfare Association. I remembered him describing that scene to me, so I immediately had an image of a terrible accident. We assumed there would be some injuries and certainly loss of life. A few minutes later we were interrupted again with the news of the second attack. At that point, we cancelled the meeting and it was announced that there would be a Mass for the victims at the Shrine of the Immaculate Conception, which was just across the street. When we arrived there, we found the shrine already crowded with a huge gathering of people. One of the most impressive things about Sept. 11 was the deep religious response it provoked in people — a reaction of solidarity, of wanting to be together. People wanted to pray. Sometime later, I spoke to people from Ireland who told me that, on that day, even there the churches were packed and special Masses quickly arranged. Even thousands of miles from the attacks, there was that strong sense of community, solidarity, and need to share sorrow that brought people together in a very profound way. Of course a great concern for the bishops was to return to their dioceses, but in Washington we were completely cut off. 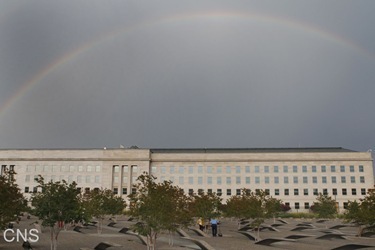 By then we had learned of the attack on the Pentagon and those who gave their lives in Pennsylvania and there was the belief that the terrorists would try to destroy the White House. There were no flights, trains or buses to get back to Fall River, where I was bishop at the time. The president of Catholic University was good enough to put his car at our disposal so that the three New England bishops could get back to our dioceses that evening. The drive was eerie, with practically no one on the highway and all the toll booths empty. Newark and La Guardia airports were closed and had snow plows blocking the entrances. While on the way back to Massachusetts, I received a call from my brother, who was in Boston because he was a pilot for United Airlines. He told me he had been scheduled to pilot the next flight to Los Angeles. Had he been assigned one flight earlier, he would have been the pilot on one of the planes that struck the Twin Towers. However one who was on that plane was David Angell, the brother of Vermont Bishop Kenneth Angell, who perished on that same flight. Bishop Angell had actually driven David and his wife to the airport that morning. He dropped them off at Logan Airport and, on his way home, heard about the crash on the radio. 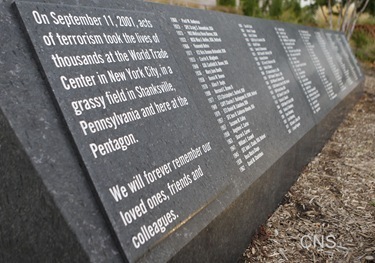 It was amazing how many people were affected by these events. 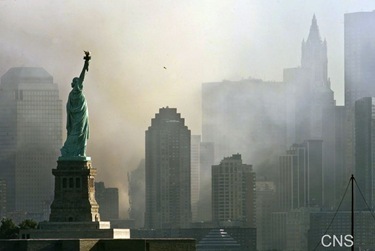 Everywhere you went, people had a story about someone that they knew on a plane, in the Twin Towers or at the Pentagon. The entire nation was also moved by the sacrifices of the public safety officials who gave their lives courageously fulfilling their duty. Over 300 fine men and women perished, including Father Mychal Judge, a Franciscan in New York who was the fire chaplain and who died giving the last rites to victims at the World Trade Center. The events of Sept. 11 demonstrated the fragility of human life and, as often happens in these cataclysmic events, you saw the very worst and the very best of humanity. The worst, certainly, were those who plotted for months, and perhaps years, to perpetrate this crime that killed thousands of innocent people. At the same time, you saw the courage of the firefighters, law enforcement officers, and even average citizens, such as the passengers who fought back on United Airlines Flight 93, forcing the plane down before it reached its intended target. Unfortunately, the dehumanizing practice of terrorism, in many ways fueled by our communications culture, has become part of our modern world. There was a time when warfare was seen as something conducted between combatants. Civilians and other populations were, for the most part, respected and protected. Now, however, terrorists target the most innocent and vulnerable to cause the greatest amount of shock and horror for the psychological effect that they can instill on the public. We had not had an act of war on the continental United States since the Civil War — of course we cannot forget Pearl Harbor — so it was a very shocking experience for Americans. Yet, the horrors of modern warfare are an experience that people in Europe lived during World War II and, in other parts of the world, continue to experience. However, as we commemorate these events 10 years later, our attitude is one of prayer and gratitude for the sacrifices of so many who went in to rescue victims of these terrible terrorist attacks. We pray for the victims, the families and the survivors who may still be traumatized and whose health has been compromised by the effects of the attacks. Terrorism often comes about because of injustices in society. One of the ways that we can discourage terrorism is to be proactive in dealing with the injustices in the world. As Catholics, we believe we have a mission to build a civilization of love, work for greater solidarity and cooperation among nations, promote the rights and dignity of every human person, and to advance economic justice and religious freedom in the world. As important as it is to reflect on this important moment for our nation and the world, I would also like to share with you some of the events of my week. 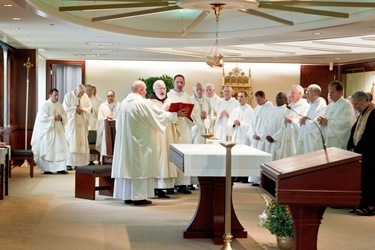 Just as we recently had the opening Mass at St. John’s Seminary, the Blessed John XXIII National Seminary community initiated their academic year with a celebration of the Mass of the Holy Spirit last Friday, with the presence of the rector and the faculty, the vocation directors and the student body. 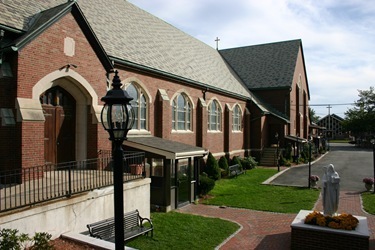 As the name implies, Blessed John XXIII is a national seminary for those who are pursuing a “second career” or late-life vocation. The majority of these seminarians are from other dioceses, but there are several studying for Boston. 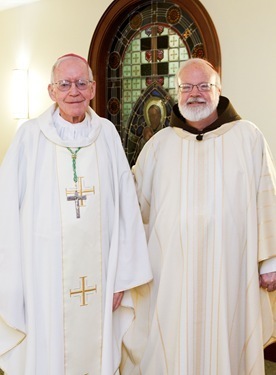 Our archdiocese continues this initiative of Cardinal Richard Cushing who was inspired by the words of Blessed Pope John XXIII who said that a vocation can come at any time in a person’s life. Cardinal Cushing founded the seminary and named it in honor of Pope John XXIII. 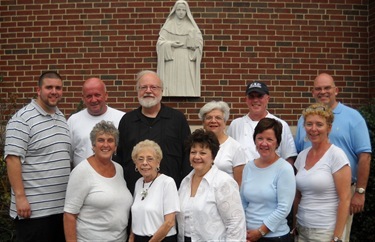 Afterwards, we took pictures with the Boston seminarians and had a lunch. 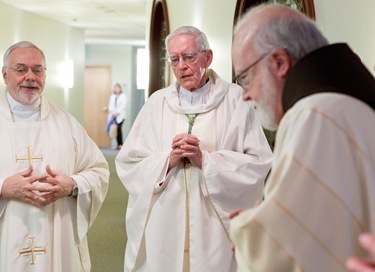 We are very proud of the excellent service that this seminary, which belongs to the Archdiocese of Boston, provides for the Church throughout the United States. It has served countless dioceses. 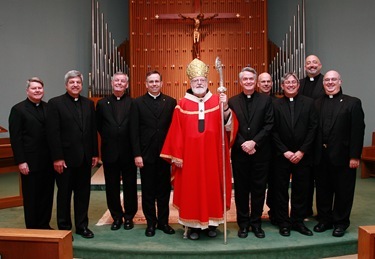 In the four dioceses where I served as bishop, I had wonderful priests who were all graduates of Blessed Pope John XXIII. They were outstanding pastors and functioned in many important roles. I know that countless bishops share the same gratitude to this seminary. 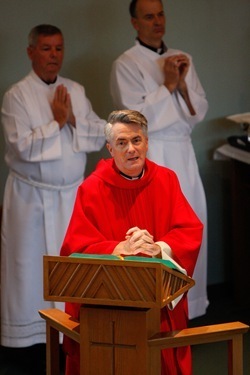 And of course we’re very grateful to Father Bill Palardy for accepting the rectorship, replacing Bishop Peter Uglietto. 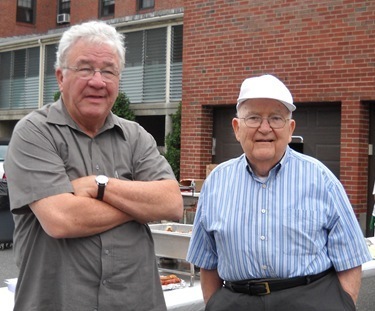 Of course this week we celebrated Labor Day, and what is Labor Day without a cookout? 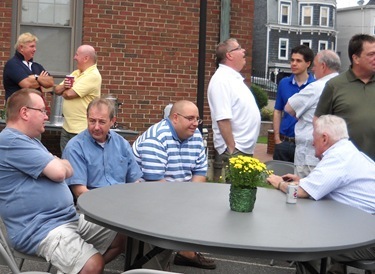 Each year Father Bob Casey and the good people of St. Brigid Parish in South Boston sponsor a cookout for priests and it’s always very, very well attended. 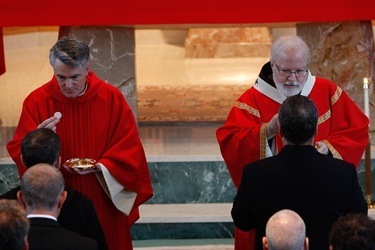 The new Vicar General, Monsignor Bob Deeley, joined us for the event and many of the priests from Regina Cleri were also part of the celebration. 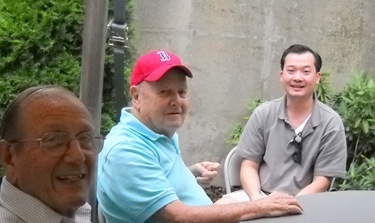 I was very happy that they had a good old fashioned cookout with hot dogs and hamburgers. Sometimes you get to the cookouts and they are serving fancy food, and it’s just not the same! But it was a wonderful event and the weather was overcast, but the rains held off and everyone had a great time. 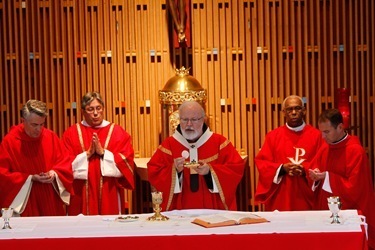 Although many priests celebrate their golden anniversary of priestly ordination, it’s rather rare that a bishop celebrates the golden anniversary of his episcopal ordination. 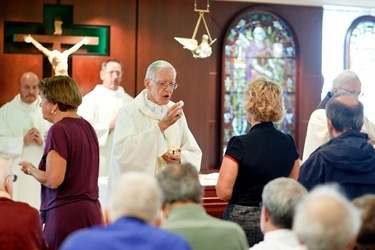 That’s why this week we were especially happy to have Bishop Bill McNaughton with us Tuesday, as we marked the 50th anniversary of his episcopal ordination at the Pastoral Center. We have the joy and privilege of the presence of Bishop McNaughton, who is a Maryknoll missionary from Lawrence and the retired bishop of Incheon in Korea. As a young priest he was sent off to be a missionary in Korea and a founding bishop of a diocese there. So we invited Bishop McNaughton, his family, some of the members of the Maryknoll community and Father Rod Copp and the staff of the local office of the Pontifical Mission Societies. They took part in the celebration, which we incorporated into the daily noon Mass, followed by a lunch for Bishop McNaughton and his guests. 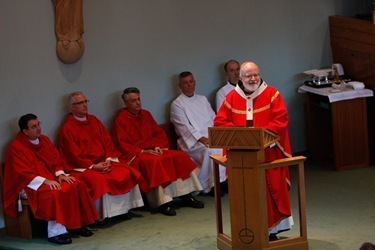 I celebrated the Mass and Bishop McNaughton preached. In his preaching he talked about his vocation and experience. He said that he was ordained a bishop at St. Mary’s in Lawrence by Cardinal Cushing who, he said, gave him $10,000 to start his new diocese. But he said when he got to Korea that he fell in love with the people and had an extraordinary experience there as their bishop. He also attended all of the sessions of the Second Vatican Council. 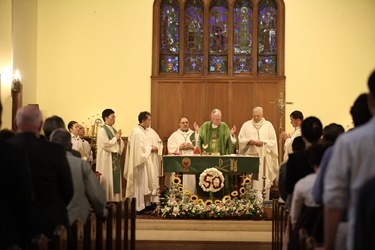 Now, in his retirement, he has returned to live in the archdiocese and helps us with confirmations and also helps out with the ministry to the Korean Catholic community. 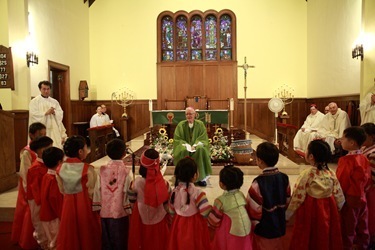 A couple of weeks ago, Bishop McNaughton gathered with the Korean Catholic community in Waban to celebrate his jubilee. 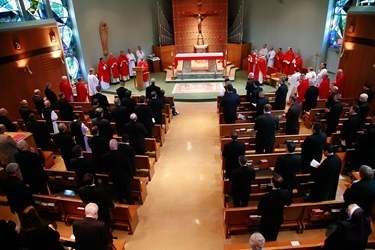 More than 500 people attended along with several priests and bishops. I understand the children gave him a gift of 5 bouquets of flowers, each one representing 10 years. 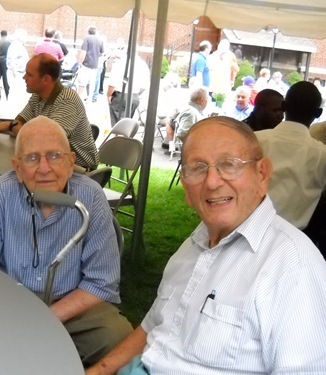 This year Maryknoll is celebrating their 100th anniversary and, of course, two of the founders of Maryknoll — Bishop James Walsh and Mother Mary Joseph Rogers — are Bostonians. 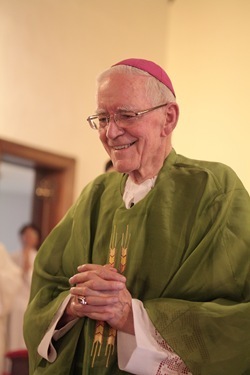 So it’s a wonderful way to celebrate Maryknoll’s contribution to the missionary efforts ad gentes, by recognizing the 50 years of episcopal ministry of Bishop McNaughton.